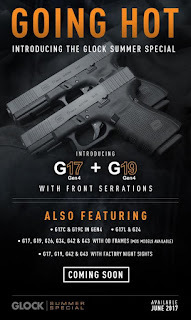 Glock introduced its “Summer Special” modifications to the Generation 4 models 17 and 19, which include steel sights (versus the standard plastic factory ones), forward slide serrations, and an extended slide release. It’s a half generation like the earlier release of the law enforcement only 17M/19M series pistols. Unlike the M series guns, which have no finger groves on the front of the grip, an ambidextrous slide release, and a flared magazine well (among other features), these “Summer Specials” are modifications on the cheap. Basically, all Glock did was cut some of their famous slide serrations into the front of the slide and slap on an aftermarket slide release that most of us have already installed. It’s a cheap modification for them because it requires no changes to the slide. Standard Gen 4 frames can have a new release and slide slipped on in seconds. It costs a lot more to design, test, and manufacture new frames, but very little to do what they did here. Nothing innovative here, just relatively standard modifications that have been done by owners for years. It’s an easy and safe way to introduce new features for the rumored Gen 5 we might see at SHOT Show next year. Of course, the gun blogosphere said that about this year’s show. Likewise, the M series was probably less than ready for prime time (there are reports of teething troubles), but it was likely rushed to guarantee the FBI contract. The M series probably hasn’t been released to the public because of law enforcement orders getting priority and many features will be incorporated in the Gen 5 series. Rumors circulated on the internet that the single stack .380 Glock 42 was intended to float the design before debuting the long anticipated and coveted single stack 9mm Glock 43. For a very long time, many in the shooting public wanted a single stack version of the Glock 26, but thinner for concealed carry. Until the 43 came out, one year apart, much of the market for single-stack 9mm pistols went to the Shield, XDs 3.3, and Ruger LC9. The theory goes that since the market would absolutely crucify Glock if it introduced a dysfunctional single stack 9mm, the 42 was meant to work the kinks out with producing a flop like the Remington R51 did. Or you could just say that Gaston was just looking to make a buck off the fanboys who had to buy a 42 and 43. The “Summer Special” series is most likely something of the later; it’s a way to sell fanboys a “new” Glock model and get some of the aftermarket cash into corporate pockets. On one hand, it’s nice to see Glock responding to what the market is requesting, but the delay in bringing it to market is inexplicable. Still, I would not be surprised if we see the new slide release and slide style appear in a M series frame as the Generation 5. Olive drab versions of the “G17, G19, G26 and G34 in Gen3 and Gen4 along with the G43” will be released as well. Another interesting statement is Glock “will also begin production of pistols with factory-installed night sights. 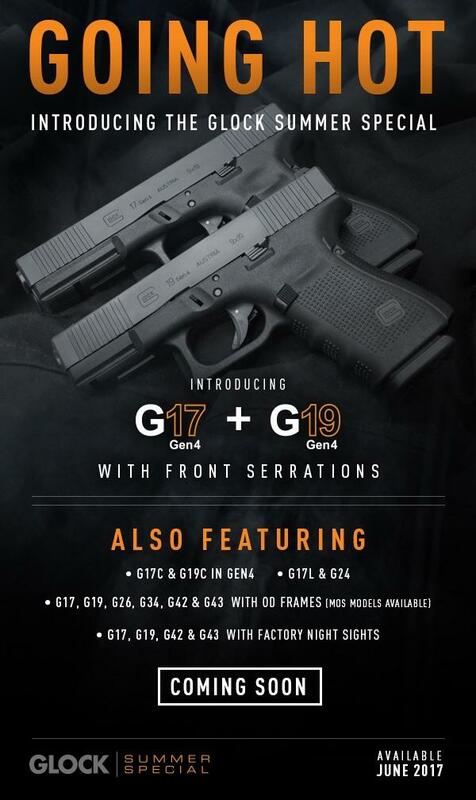 … The models available with factory-installed night sights are the G17 Gen4, G19 Gen4, G42 and G43.” Does this mean factory night sights will become standard over the current plastic white-U sights? You can get your new Glock beginning June 1. The Firearm Blog has some good shots from the NRA Annual Meeting floor. The sun was beginning its descent behind the mountains to the West as we made that long drive up the hill going North on Decatur. 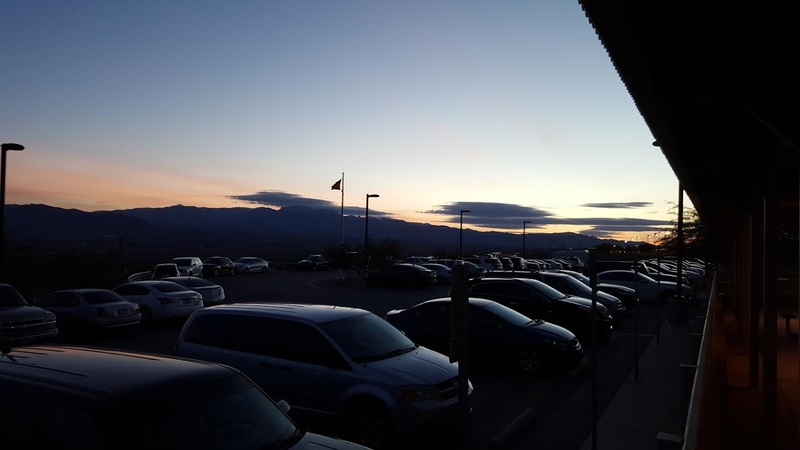 The nearly 80-degree day was giving way to dusk and the cooler temperatures of a springtime evening in Las Vegas. As we climbed the road to the Clark County Shooting Complex, the air grew even cooler. We were excited and optimistic about what the evening had in store for us. 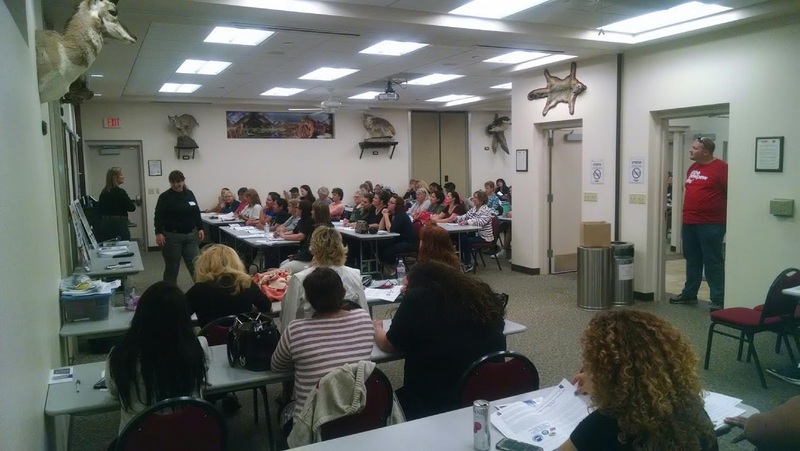 Months of preparation for the ladies of the Nevada Firearms Coalition was about to pay off. 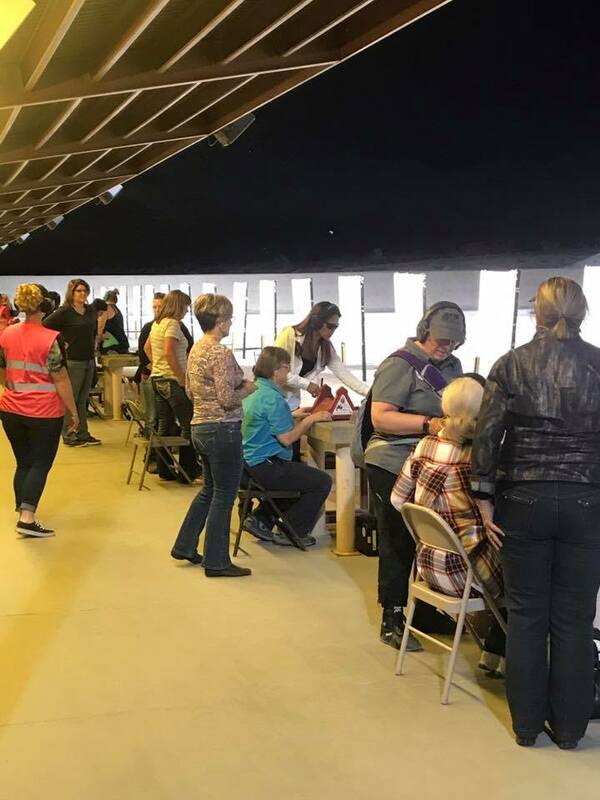 The ladies who volunteered were preparing to host the inaugural Annie Oakley Shooting event. Among them was my friend Megan, a former “student” of mine who has shown remarkable progress in marksmanship and safety during our semi-regular range trips. When she was first told about this program, she volunteered to take the RSO class without hesitation for the sole purpose of volunteering with this program. After many meetings, training sessions, dry runs and NRA Range Safety Officer classes, everyone was going to put their training and knowledge to good use. The Annie Oakley program is geared towards female first-time shooters, led and instructed by experienced female shooters. The belief is that women will feel more comfortable being taught by other women, coached and supported along the way by other women. No scoffing men allowed. Girls only. We approached the gate to the Shooting Complex and were greeted by…a man? Yes, there were some of us male volunteers (your author also carries the dreaded Y Chromosome) but we were purely in place for logistical support. Directing traffic and greeting people. Collecting liability waivers. Cleaning up the classroom. The bread and butter of the program, the classroom instruction and coaching on the range, is handled by the ladies. After a brief exchange, we continued the drive up the hill, passing several other male volunteers directing traffic. We arrived at the Hunter Safety Education building at the end of the road and were amazed to see several dozen cars already there and a line forming outside the building. My eyes widened as I realized that there were a whole lot of people interested in this program. I couldn’t believe there were so many people there already, since the event wasn’t scheduled to start for another hour! We parked and went to work. I assumed my post in the parking lot directing traffic. Over the course of the next 30 minutes I watched a steady stream of cars follow the same road I had just traveled. The parking lot was full and people began parking along the side of the road, in the gravel, double parking, triple parking, it didn’t matter. With a half an hour to go before the program would begin, the line was already wrapped around the building. The classroom filled to capacity and disappointed prospective students were turned away to return for another session an hour later or on another day. Still another 15 minutes to go before class started and it was already filled to capacity. I spent the next hour apologizing to people for the class being full and encouraging them to stay for the next classroom session. I answered a myriad of questions from “When is the program held again?” (Every Tuesday night) to “How do I get a CCW permit?” Once the traffic situation died down, I moved inside to help check people in for the second classroom session. I was amazed yet again to see that the line for the second class was just as long as the first class. We went to work collecting waivers and handing out the punch card for the ammo. The first class exited and made their way down to the range as the classroom filled with our second group of eager ladies ready to learn to shoot. I stood in the doorway of the classroom and listened to the instructors, Sandy and Alex, as they went through the basics. The cardinal rules of gun safety. Dominant eye and sight picture. Loading a magazine. Everything you would expect from a basic pistol class. I looked around the classroom and noticed the many different demographics represented. All age groups, daughters under 18, mothers, grandmothers, sisters and friends. Different races, different cultures and no doubt different backgrounds and life experiences. They all came together for a common purpose and were eager to learn. I moved outside to do some paperwork and get some fresh air. While sitting at one of the picnic tables outside, I could hear the familiar popping sound of .22 handguns coming from the range. I looked over towards the bright lights on the range and could see people on the firing line. The first group had taken the range and was well on their way to learning how to shoot safely. Disappointingly, there was little coverage by our local media. Carla Wade from KTNV Channel 13 News was the only reporter I’m aware of who came to the classroom to cover the event. She gave impressive and positive coverage of the program, which aired during the 11pm news the same night. The story and video can be found at their website. Based solely on the attendance of the first week’s event, this program is going to be a resounding success for the Nevada Firearms Coalition. There appears to be a great deal of demand for such a program and even reading comments on social media seems to be generating quite a bit of buzz among those who plan to attend. People seem genuinely excited and I believe this class will fill a much-needed void. People want to learn about guns, but don’t feel comfortable enough to jump right into a CCW or a basic pistol type class. I even had several ladies approach me and tell me they felt like they should take the classroom portion again. There is no shame in that and I think people should learn all they can however they can. I encourage every lady who has ever thought about shooting a gun (and even those who haven’t. Why not?) to attend this program. The knowledge you gain is empowering and could prove to be invaluable to you and your family. 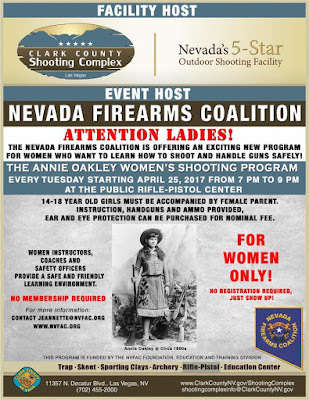 The Annie Oakley Women's Shooting Program is for women only (sorry dudes) and is a free program provided by the Nevada Firearms Coalition Foundation for women who would like to learn how to shoot and handle guns safely. No registration is required. Eye and ear protection (shooting glasses and ear muffs/plugs) is available for a nominal fee. The program is held each Tuesday night 7-9 PM at the Clark County Shooting Complex (Rifle/Pistol Center), 11357 N. Decatur Blvd. Las Vegas, NV. SB 378 would amend NRS 202.360, the state prohibited person guidelines, to remove medicinal marijuana permittees as state prohibited persons. "For the purposes of paragraph (d) of subsection 1, a person who holds a valid registry identification card issued to him or her pursuant to NRS 453A.220 or 453A.250 shall not be deemed to be an unlawful user of, or addicted to, a controlled substance solely because the person engages in the medical use of marijuana pursuant to chapter 453A of NRS." The bill also amends NRS 202.3657 to change the definition of "habitual users of controlled substances" to not include medicinal marijuana permittees in regards to concealed firearm permits. "For the purposes of paragraph (d) of subsection 4, a person who holds a valid registry identification card issued to him or her pursuant to NRS 453A.220 or 453A.250 shall not be deemed to have habitually used a controlled substance to the extent that his or her normal faculties are impaired solely because the person engages in the medical use of marijuana pursuant to chapter 453A of NRS. As used in this subsection, 'medical use of marijuana' has the meaning ascribed to it in NRS 453A.120." Brass tacks on the firearm portion of this bill is that medicinal marijuana permittees would no longer be in violation of Nevada CCW or firearm laws. However, this does not affect federal prohibited persons laws. The jury is out on whether or not the ATF truly cares, but they have definitely stated that under federal law, medicinal marijuana use makes you a prohibited person. The Ninth Circuit court, which covers Nevada, has also confirmed this fact out of a Nevada case, Wilson v. Lynch. Short answer, don’t smoke pot if you want to own/carry a gun. Second short answer, don’t get an MMJ card if you want to own/carry a gun. If marijuana is so precious to you, write your congressman. Now for the rest of us, would SB 378 make CCW holders Brady exemption to the background check void? "the law of the State provides that such a permit is to be issued only after an authorized government official has verified that the information available to such official does not indicate that possession of a handgun by the transferee would be in violation of the law;"
There was some issue with this several years back because some sheriffs were not going through the entire CCW background process at renewal, which caused us to lose our exemption for a while. At this time, all valid concealed firearm permits qualify for the exemption. Sheriffs drop any questions or investigation into the medicinal marijuana issue, therefore if they don’t ask, they can’t possibly know if a person is in violation of federal law (don’t ask, don’t tell). The ATF simply doesn’t care. They haven’t exactly been chasing down medicinal marijuana using gun owners. The ATF does care and Nevada loses its Brady exemption. If the ATF does something, it’s most likely going to be Number 3. Even with the debate at the federal level over states and decriminalized marijuana, the exact reaction is unknown. That being said, if the ATF canceled the exemption in the past because sheriff’s were only running CCW holders through the computer and not doing fingerprints, it’s likely the ATF would find the MMJ exemption to be problematic. The DPS Point-of-Contact section (the background check people) would be hit hardest by losing the Brady exemption. The exemption dramatically reduced their work load, which meant less time for your dealer on the phone while you stood around waiting for government permission to take your purchase home. If DPS couldn’t handle the extra workload Question 1 would have caused, they certainly won’t be able to handle the background check volumes an exemption disqualification would cause. Metro testified that they will have to side with the ATF and will not be issuing CCWs to MMJ users. If all sheriffs in the state did this, then there probably wouldn’t be an issue with us possibly losing our exemption, but Joe Lombardo doesn’t control all 16 other sheriffs (thank God). This is a feel-good bill by the liberal marijuana caucus. It only affects the state level and does not address the very real federal concerns and potential reactions. Federal law trumps state law and if the Feds earnestly wanted to keep marijuana users from buying and owning guns, they certainly could do so. Marijuana and guns is a debate that needs to happen at the federal level before potentially harmful decisions are made in the statehouse. Senator Segerblom, a proponent of legal pot, should see to it that this bill is amended to read something like “Should the Congress or ATF determine medicinal marijuana no longer disqualifies a person from possessing a firearm…” That way, the rights of everyone else who doesn’t smoke pot wouldn’t be affected by a rather selfish exemption. As our friend and commentator Vern B. pointed out, elections have consequences. 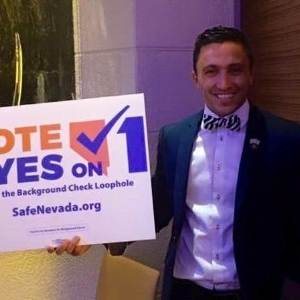 One of the consequences of Tuesday’s municipal elections was that anti-gunner Matthew DeFalco lost his bid for a Henderson city council seat for Ward III. John Marz took the top votes. Per his Facebook and other sources, DeFalco was a proud supporter of anti-gun Question 1. Hendertuckians did the right thing and stopped this guy’s political career in its tracks. DeFalco, who is proud to have served as an intern to the much-maligned Senator Harry Reid. While local races are non-partisan, his internship and heavy support from unions is enough evidence DeFalco sides with the Democrats. Since his ideals are so obviously opposed to the Constitution, it seems wrong that this former soldier, who swore and oath to it, should be a member of a party that seems absolutely dead-set to tear that document to shreds. Like a dog to its own vomit, this defeat may be seen by DeFalco as only a temporary defeat. He’ll probably be back to try again either in Henderson or some other office. Anti-gun politicians have to start somewhere. City councils, municipal boards, etc. The best way to keep an anti-gun Democrat from a place where he might do real damage is by shutting their career down early. Hopefully, this is defeat convinces DeFalco that no one wants him in office. If not, every opportunity must be used to deny him office and advancement in politics. This is exactly why municipal elections matter. I will admit my own guilt in ignoring the issue, believing it too insignificant to truly matter. After all, we have preemption, don’t we? But the larger issue is again what people in politics can get up to. Who do they meet? Who do they influence? The rabid Democrats in Carson City that are trying for their own “Year of the Anti-Gun” had to begin somewhere. We must research local candidates and deny them that somewhere. Another issue about local politics is where members of special boards come from, say the Las Vegas Clark County Library District. Library district appointees come from the city council or county commissioners. The person you elected gets to choose what hack gets to sit on a governmental board and operate with little oversight. Board members don’t really have a mechanism for removal so each appointment is critical, especially in communities or organizations (libraries) filled with liberals who hate your freedoms. So from this point on, we pledge better coverage of local elections and will help coordinate efforts to shutdown anti-gun candidates before they have a chance to infect the host with their cancer. Gun-Themed Books to Be Banned in Public Libraries? The bill would grant the library board of trustees permission to give individuals to carry such books into a library or borrow them. “Each library should be allowed to decide for itself what its patrons should and shouldn’t be allowed to read in their libraries. 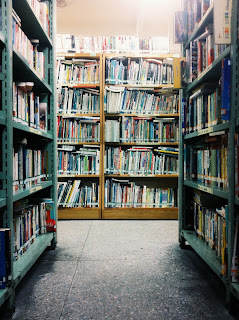 Libraries are like schools, and that means that people who use libraries are like children. Library patrons needs responsible people to tell them what they should and shouldn’t be thinking, excuse me, I mean reading,” Senator Praetor said. The full text of the bill and information on votes and hearing can be read here, on NELIS. Let's take a look at the email document dump from the two largest library districts in the state, Las Vegas Clark County Library District (LVCCLD) and the Washoe County County Library System, obtained via an Open Records Act request. Washoe County Libraries informed emailed its entire library leadership and management about SB 115. By informing the staff, it implies support. If they didn't want it, they wouldn't have emailed everyone. The Las Vegas Clark County Library District (LVCCLD) sent its email to various interested parties, other library districts/board, and external mailing lists. Heezen is less likely mistaken as he is to be lying. SB 115, in its current form, does not allow for individual libraries to set their policies. What the law, NRS 202.265 does, allows is for schools, colleges, universities, and hypothetically libraries to individually decide who will get permission to carry. One has to apply for written permission individually on a case-by-case basis. LVCCLD, if it went to far to break the law and try to re-write the law, will certainly deny permission. Knowledge of this distinction is hinted at in an email from Betsy Ward, dated 2/21/2017 (p. 4). 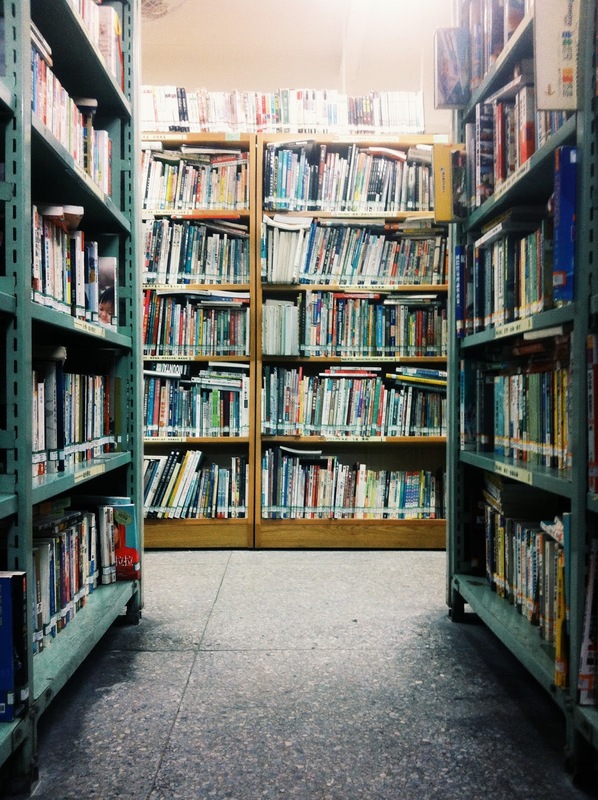 LVCCLD's emails and arguments basically center around "children use the library." Adults use the library too. Parents bring their children to the library. Shame on us gun owners for thinking that parents and other patrons ought to be able to protect themselves, their kids, and their fellow citizens from murderers. LVCCLD says that it wants to provide a place that has similar "protection" against "dangerous" weapons. If the LVCCLD and others in the library/education world were truly as open minded as they claim to be, they would know that disarming law abiding citizens is not protection and no weapon is as dangerous as a homicidal human being.